The General Assembly and the Board of Directors (BOD) are the key governing organs of HESPI. The Board comprises 10 members from academia, public policy making officials, private sector, and civil society. The Management of the Institute has day-to-day responsibilities of the operations of HESPI to ensure adherence to its objectives and materialization of planned activities. The BOD is responsible for oversight and establishing broad policies, the approval of Work Plans and Budgets (WPBs), Audited financial statements, recruitment and evaluation of senior staff; and selection of the external auditor(s) of the Institute. The By-Laws, and the Board of Governance Charter, Related Codes and Policy Documents, constitute the corporate governance and management framework, and provide for clear separation of powers between the BOD and Management. The management of the Institute is headed by the Managing Director (MD) who is also an ex-officio member of BOD. The MD is provides overall intellectual leadership to the Institute and the implementation of the project. In playing this role, the MD is assisted by the Director of Research, Senior Research Fellows (SRF), Programs Manager (PM), and Accounts Manager (AM). The core technical staff members at HESPI are complemented by a number of senior associates and associates including, economic and social research experts and specialists in private and financial sectors issues, economic and financial governance, institutional capacity building and economic integration. These associates are supplemented by consultants on short-term assignments. The Institute’s operations are underpinned by annual WPB, developed by the management and approved by BOD. Amb. Peter G. Robleh has PhD in International Relations. He is currently the Chairperson of the Board of Directors of the Horn Economic and Social Policy Institute. Amb. 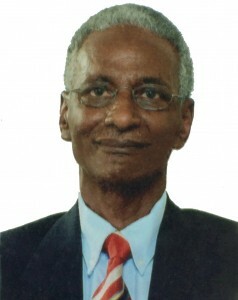 Robleh was a senior regional advisor on international trade at the United Nations Economic Commission for Africa (UNECA) in Addis Ababa (2001-2011). 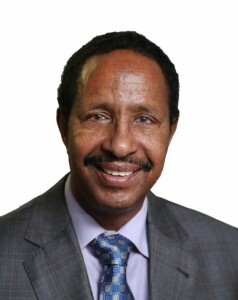 He was Ambassador of Ethiopia to the Benelux Council and European Commission (1993-2001); UN staff member for over a decade in Western Asia, and Associate Professor at California State University, USA. He has extensive experience in economic and social policy development in the Horn of Africa region. She holds a Ph.D. in economics. 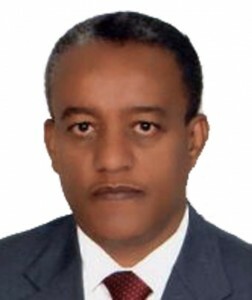 Dr. Ketsela served as State Minister of the Ministry of Finance and Economic Development of Ethiopia. She has served as Economic Advisor to the President of Ethiopia; and subsequently, to the Prime Minister of Ethiopia. From 2001 to January 2005. She has worked as economic consultant and as expert for international organizations, such as the UNDP in New York, and the CCPD in Geneva. She has also taught economics as an adjunct to undergraduate students at John Jay College of Criminal Justice and at the Higher Education Opportunity Program of New York University, in New York City, for a number of years. Dr. Ketsela is a member of the Strategy Experts Panel group of the Food and Agricultural Organization (FAO) (starting September 2016). She has served as Executive Director representing seven East African countries (Ethiopia, Eritrea, Kenya, Rwanda, Seychelles, Tanzania and Rwanda) on the Board of the African Development Bank Group (ADB) from 2013 to 2016. Prior to that, she served as Alternate Executive Director/Senior Advisor (2010-2013) for the same constituency in the Board of the ADB. She was nominated by the previous Secretary General of the United Nations, Mr. Ban Ki-Moon, to serve as member of the Committee for Development Policy (CDP) of the United Nations from January 2010 to December 2012. From October 2007 to November 2008, she served as the Executive Director representing twenty-two African countries for the World Bank Group, in Washington, DC; and from 2005 to 2007, as Alternate Executive Director of the World Bank for the same group of countries. Mr Wassihun is Ethiopian national. He Has an LLB Degree in Law from Addis Ababa University. He is the current Secretary of the Board of Directors of HESPI. Mr. Abate has worked for many years at the Ministry of Finance of the Federal Democratic Republic of Ethiopia (FDRE). He has been the head of the Legal Department of the Ministry of Finance and Economic Development since 2006. Mr. Abate is a member of the Board of Directors of several other organizations. He is the current Managing Director of the Horn Economic and Social Policy Institute. He has a PhD in Economics and an MBA in International Finance. He was a senior economist and manager at the International Monetary Fund for many years, and a Senior Representative of the IMF in Tanzania and in Ethiopia. Dr. Ali worked as an economist with Citibank and the Central Bank of Somalia; and taught economics at universities in the United States. He provided macroeconomic policy advice in many countries (in Africa, Middle East and Western Hemisphere) and published widely on economic issues. He has PhD in Development Economics . 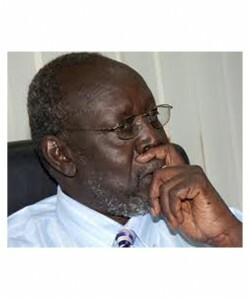 He is the Managing Director of the Ebony Center for Strategic Studies located in Juba, South Sudan. 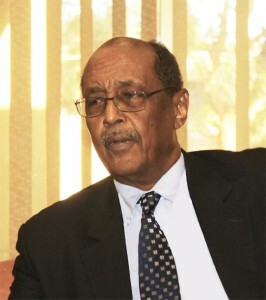 He is a former Minister of Petroleum of the Sudan (2010-- 11) and a State Minister for Finance (2005-10). He was senior economic advisor to the South Sudanese government, (2000-04). Dr. Deng was Consultant to the World Bank and UN agencies (1995-00). He worked as Division Chief, Environment and Social Policy, African Development Bank (1991-95). He has written extensively on economic and social development Issues in the Sudan and the Greater Horn of Africa. Dr Halima is Tanzanian national. She has a Bachelor of Law from Nairobi University (1983-86), Masters in Comparative Law and PhD in International Law (1991-97) from Stockholm University. She worked as a Researcher at the Faculty of Law, Stockholm University (1994-97), and as Program Officer in charge of trade with Eco-News Africa, Nairobi (1997-2001). Between 2002-05, Dr. Noor worked as an International Consultant with UNDP Somalia and with the Kenyan government under the European Union Post Lome Trade Negotiations. Since 2005 she has worked at the United Nations Economic Commission for Africa (UNECA) Interregional Advisory Services in Switzerland, as Regional Advisor. He has PhD in Economics and is Senior Manager of Islamic Development Bank, Saudi Arabia (2008-), Senior Economist and Manager at the World Bank Group, Washington D.C. (1985- 07). He worked in many countries in Africa, Middle East and Asia as Policy Advisor and was the World Bank Representative in Yemen for three years. He worked at the International Finance Corporation, the private sector arm of the World Bank Group. 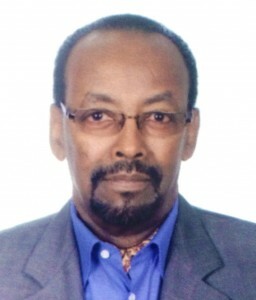 Dr. Osman was a Senior Associate, Morgan Newman Associates Inc. (1983-85) and University Lecturer and Financial Analyst (1970-78). He has numerous publications in academic and professional journals, and has published several books. Dr. Ismail Wais has a Ph.D. in economics and social science from the University of Osnabrück. Since 2005, Dr. Ismail has been economic advisor to the President of Djibouti in charge of bilateral relations between Djibouti and Germany, and focal person for Somalia. He worked for more than 23 years in development cooperation in the Greater Horn of Africa region (including Djibouti, Eritrea, Ethiopia, Kenya, Rwanda, Somalia and Uganda), Southern Africa (Zimbabwe), and Solomon Islands and Papua New Guinea. He also worked for German and international private and public organizations of development cooperation, including the German Foundation for International Cooperation (DSE), German Agency for Technical Cooperation (GTZ); German Agency for Technical Relief (THW); UNDP and EU sponsored projects in Ethiopia. As early as 1982 he trained young professionals and experts in development cooperation to enhance the capacity and skills of staff of German organizations in country briefing (for Djibouti, Ethiopia, and Somalia) on cooperation, projects management and cross-cultural communication. Ms. Abda is a Sudanese National with MSc. in Economics and Mathematical Economics from the London School of Economics and Political Science in the United Kingdom. She is currently Managing Director of Unicons Consultancy Ltd. which is an independent economic consultancy firm based in Khartoum, Sudan. She is a member of the Board of Directors of several institutions and has served as a member of the Panel of Eminent Women of the Islamic Development Bank in Jeddah. Ms. El-Mahdi is also a Senior Research Fellow of the Economic Research Forum for the Arab Countries, Iran and Turkey that is based in Cairo, Egypt. 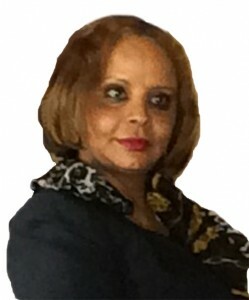 Ms. El-Mahdi previously served (2002- 2004) in the Government of the Republic of Sudan as State Minister at the Ministry of Finance and National Economy. 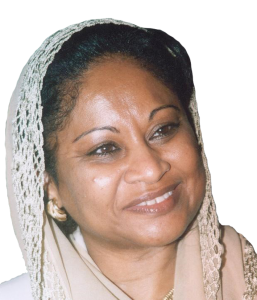 In her capacity as State Minister she was responsible for international financial relations which entailed, among others, overseeing the implementation of Sudan’s Economic Reform and Structural Adjustment Program that was being monitored by the International Monetary Fund. Prior to joining the Government, Ms. El-Mahdi worked first as a Research Officer then as a consultant to the Economic Research Forum for Arab Countries, Iran and Turkey (ERF). 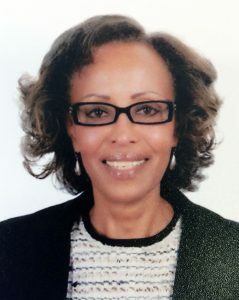 Ms. El-Mahdi knowledge of international financial markets as well as the economies of African countries was enhanced when she worked with the International Monetary Fund in Washington DC, USA. He was born in Eritrea but lived and studied in Ethiopia since the age of 14. He has since then lived in several countries such as Italy, UK and USA and finally acquired citizenship of The Netherlands in 1986. He at present lives in Nairobi, Kenya.Mr. Elias possesses B.Sc. Degree in Agricultural Engineering with a Minor in Economics, LL.B. Degree in Law and M.Sc. in Development Studies. 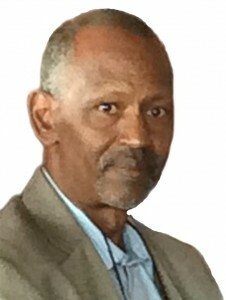 He has over 40 years work experience in various institutions and capacities, such as a Legal Adviser in the Awash Valley Authority in river basin development, Senior Loan Officer in a Development Bank, a researcher and lecturer in academic institutions like the Institute of Social Studies in The Hague, Netherlands, University of Berkeley in California, and as a Program Officer with United Nations in Somalia, among others.Major areas of studies and work experience include forced migration and conflict transformation and peace building, capacity enhancement of local partners, sustainable development and natural resources management. Mr. Elias has produced several papers and reports on socio-political and economic issues.